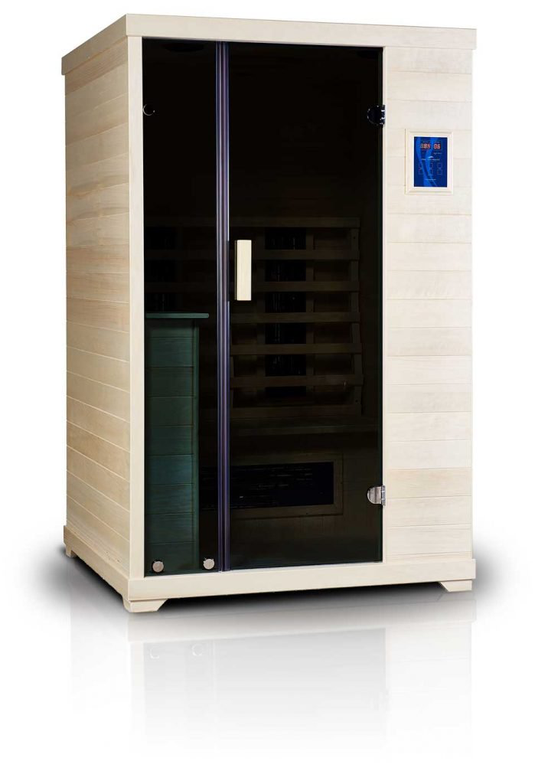 Thermal Life Saunas - Radiant Reality | Nutrition. Healing Arts. Inspired Living. No other company is as knowledgeable about detoxification as High Tech Health and no other company specializes in providing the best medical-grade health solutions for this purpose. As pioneers of this industry, the Thermal Life Far Infrared Sauna and Ionizer Plus Water Electrolyzer have successfully helped thousands of doctors and their patients remove the cause of chronic health problems, relieve symptoms of toxicity and acidity, and ultimately restore the body back to a state of balance, where it can heal itself. Poplar is the only wood that will not cause lung, eye, nasal and skin irritations and add to the body’s total toxic burden. The water from the Ionizer Plus accelerates hydration, increases mineral absorption, provides an anti-oxidant boost and balances the digestive system. Drinking this water will relieve digestive problems and eliminate symptoms of acidity, while restoring the body’s pH balance back to a neutral state of 7. The Ionizer Plus produces 1.5 gallons of alkaline water per minute, produces acidic water for topical purposes, has four different Alkaline levels (7, 8, 9, 10) to select from and has a design life of about twelve years. Combined in a single, long lasting cartridge is a granular activated carbon and a superior membrane filter. Together these two technologies provide state-of-the-art filtration, removing harmful substances from the water. Water encounters the carbon portion of the filter first, where chlorine and chemicals are absorbed. Next, the hollow-fiber membrane filter removes everything larger than .1 micron, including all bacteria. Water is treated with direct current in a process called electrolysis, resulting in the splitting of oxygen and hydrogen. This process concentrates the minerals that are present in tap water (calcium, potassium and magnesium), making water more alkaline and allowing minerals to be easily absorbed by the body. Electrolysis reduces the surface tension of the water by breaking the covalent bond of water – resulting in more permeable and soluble water that hydrates the body about six times faster and deeper. Water is treated with low dose ultra violet (15,000 micro watts per square centimeter) to eliminate virus. that you are a Radiant Reality referral!